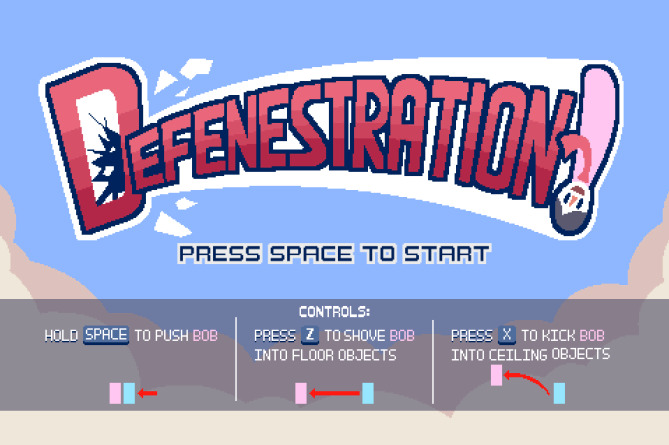 I didn't manage to defenestrate Bob on my 10th attempt, but I really liked the graphics and music! Good theme interpretation both on the art style and throwing Bob back. Took me a minute to get that link! Glad to hear you liked our take on the theme! 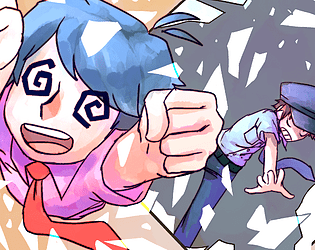 Also, a huge thank you for your compliments on the art style! Really fun to play. The ending is awesome. I'm absolutely thrilled to hear you enjoyed the ending. Thank you for your comment! Interesting mechanics. I didn't understand how to conserve my fatigue at first, but after I did the game became so much easier. This game was pretty fun to play. Very nice and original game! The animations are pretty good and so is the music! Short, fun and to the point. Well done!! That's a very funny game! Audio is very low (i put everything at 100 and still low), but I felt like I was playing a SNES game (even it's being short). 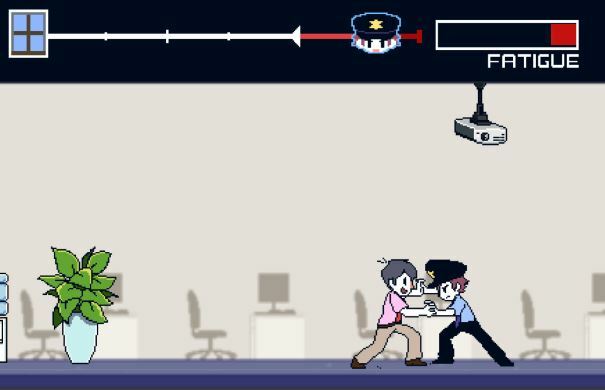 You could add some others characters and make the cop upgradable (more muscles, for example). 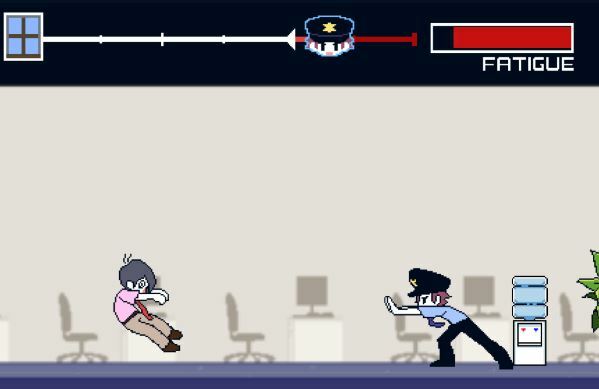 It's a very good job with game design. Just a heads up that neither of these downloads are playable on Mac. It's all Windows files from what I can tell. I'm very glad you enjoyed the humor! Thank you for your compliments on the art as well! The music and art are both super cool and the gameplay is super fun ! I want more of that ! Thank you for your compliments on the art! It makes all the hard work worth it.